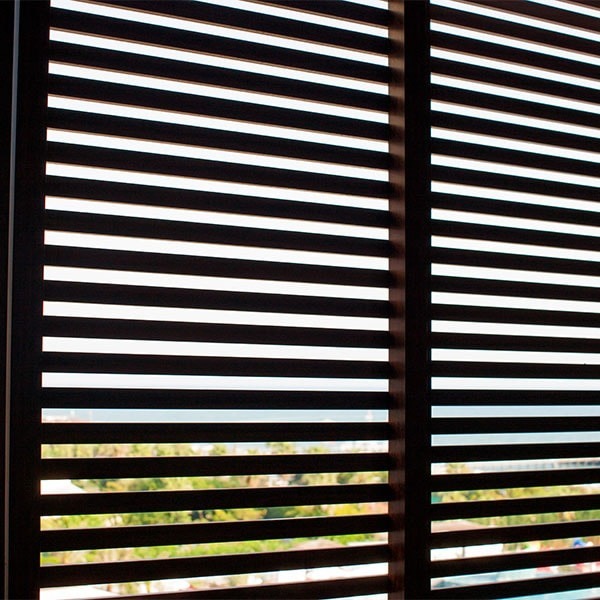 If you’re in the market for window shades or horizontal blinds, why not consider plantation shutters as well! Interior window shutters are a classic alternative to standard horizontal blinds, and with their elegant appearance, long-lasting durability, and superior performance, many homeowners opt for plantation shutters over blinds. Don’t limit your options when it comes to window treatments–interior shutters may be the ideal solution for all of your window covering needs! At Home Impressions Inc., we offer all types of window shades and blinds, but plantation shutters are one of our specialties. Offering flexible privacy and light control, interior shutters can also increase your home’s energy efficiency in both winter and summer. And unlike many other window treatments, plantation shutters are a great investment in your home–enjoy their beauty and performance today and increase your home’s value when you go to sell years from now. Home Impressions Inc. has a great selection of interior window shutters for both commercial and residential properties, and we’d love to help you take advantage of their great looks and high performance. From helping you with product selection to providing superior installation workmanship, our window covering experts are your answer for interior window shutters in Las Vegas! If you’re ready to learn more about the benefits of plantation shutters for your home, call or e-mail us today. Providing top-quality window shutters to customers throughout the greater Las Vegas area, Home Impressions Inc. has the options you need for your home. With a variety of gorgeous, high-performance interior window shutters available, we’re sure to have one that’s right for you! We offer customizable plantation shutters to help you match your new window coverings with your decor, and with several options in slat width as well as custom colors and stains, Home Impressions Inc. has the perfect interior shutters for your home or commercial property. 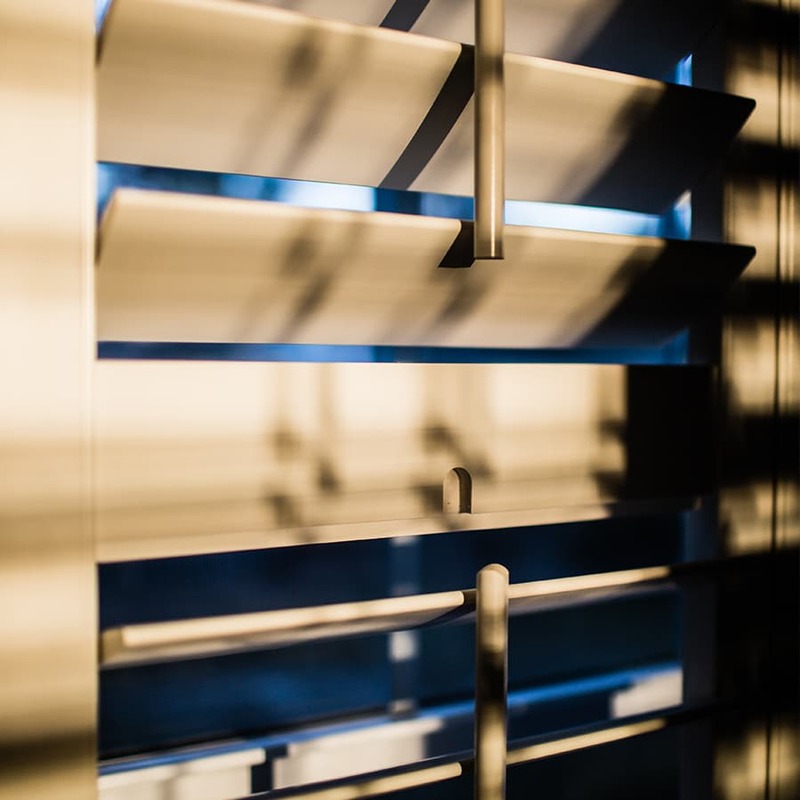 Your Home Impressions Inc. window treatment specialists can help you decide which kind of plantation shutter is right for your windows and your style, so don’t hesitate to call. We’d love to help match you with the interior window shutters that are perfect for your home. Perfect for those hard-to-cover accent windows, specialty shape plantation shutters bring you all the same aesthetic and performance benefits as traditional rectangular interior shutters. Home Impressions Inc. offers specialty plantation shutter options in both real and composite styles and in a variety of shapes ranging from hexagonal to eyebrow to quarter circle. A great way to create a coordinated window treatment look for your entire living room or your entire home, our specialty shaped plantation shutters are an attractive, practical addition to any home! With their exquisite appearance and timeless style, real wood plantation shutters bring the beauty of natural wood into your decor. Offering versatile performance and great looks, natural wood window shutters also provide the greatest return on investment. Composite window shutters bring you the beauty of real wood for less. Constructed from an extremely sturdy combination of a solid wood core and a polyvinyl coating, faux wood interior shutters are even more durable than natural wood styles. Composite wood window shutters won’t crack, warp, or fade, and with their moisture-resistant performance, they’re even suitable for high-humidity rooms like kitchens and bathrooms. Offering great looks and superior performance, faux wood plantation shutters are a great choice for affordable beauty for your windows and your home.